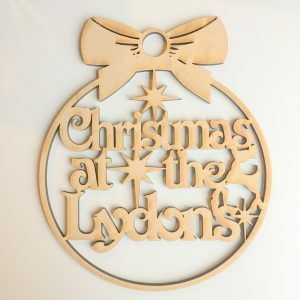 Our beautiful family tree heart shaped signs are made from 6 mm thick MDF and are laser cut giving it a lovely rustic look. You can have up to 14 names on the inside and a family surname on the outside. A fantastic unique gift for all occasions.